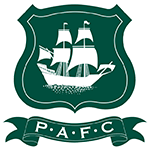 Fleetwood vs Plymouth predictions for Saturday’s League One fixture at Highbury Stadium. After back-to-back defeats, the hosts need to bounce back. Continue reading below for all our free tip and predictions. 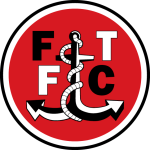 Prior to their game against Walsall last weekend, Fleetwood were within striking distance of the play-offs, though having lost two on the bounce since then, they now find themselves seven points shy of the top-six. Joey Barton’s dreams of leading the Cod Army to the play-offs in his first season as a manager are fading rapidly. Fleetwood’s apparent lack of attacking quality, especially in terms of creativity, is starting to cost them. The Cod Army have scored in all but one of their last 11 games, but they’ve only scored more than once in three of those, while they’ve now not scored more than once in eight straight League One matches. In addition to finding goals reasonably hard to come by, Joey Barton’s men come into this match having posted some rather poor underlying numbers. When losing away against Walsall last weekend, the Trawlermen posted just 0.6 expected goals for, while, prior to their trip to Ricoh Arena on Tuesday, they’d failed to reach 1.0 expected goals for in four of their last five. Even at home, where they average a rather measly 1.2 expected goals for, Fleetwood have found it tough to impose themselves offensively. Just three goals in their last four matches is testament to that. Fortunately for the hosts, Plymouth are a side that has given plenty away on the road, while they’ve also not offered too much going forward, especially of late. The Pilgrims go to Highbury Stadium having scored in just one of their last four away matches, while they currently boast an average of just 0.96 expected goals for on their travels and have posted recent figures of just 0.51, 0.61, 1.11 and 0.21. In addition to delivering some poor attacking performances on the road of late, Derek Adams’ men have struggled to keep teams at bay. They’ve kept just two clean sheets in their last ten on the road, while they’ve surrendered an average of 1.56 goals and 1.97 expected goals. Furthermore, they’ve been bettered in terms of expected goals in five of their last seven on the road, as well as in all but three of their 18 away matches this season. Despite not being overly productive going forward, Fleetwood have still offered more going forward at home than Plymouth have on the road, while the Cod Army have also given far less away. On this basis, it’s easy to get behind the hosts. The bet that makes most appeal is ‘Fleetwood to Win & Under 3.5 Goals’. The hosts look far more likely to keep things tight at the back, while they do have a habit of scoring at home, notching in eight of their last nine at home, though they’re not the sort of side to dish out a battering, even against opposition that is weak at the back. ‘Under 3.5 Goals’ has yielded a profit in 81% of Fleetwood’s League One matches this season. Plymouth have failed to score in 44% of their away matches during the current campaign. Plymouth have scored an average of 0.89 goals on the road, while Fleetwood have scored an average of 1.44 at home.